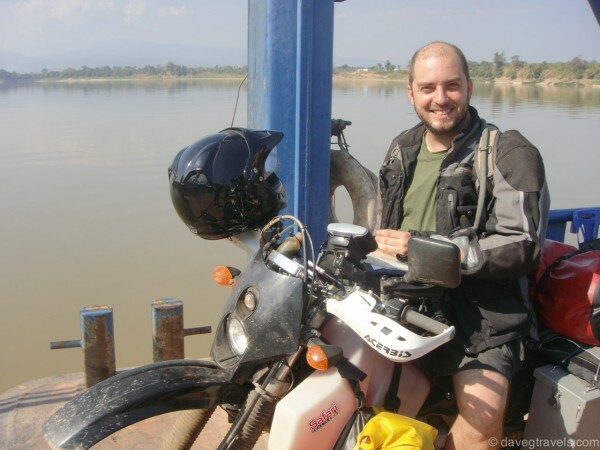 Ride For Cambodia Forum • View topic - Howdy! I'm helping organize the ride and doing most of the tech stuff here on the site. PM me or send a email via the contact form if you have any questions! Not being much for introductions, I'll take a swing at it anyways. We're BACK! Somehow we survived the first r4c and still think it is a good idea to do this again. Hope to see a few faces from last year and lots of new ones! Don't hesitate to ask questions, PM, or hit the contact button on the website. If you're interested in the event, but a little unsure about traveling halfway across the world, send me a number and I'll give you a call and we can chat about the ride and what to expect. Hey, I gotta post a picture too. 3 months to Bangkok for me, checking the airlines now. daveg wrote: Don't hesitate to ask questions, PM, or hit the contact button on the website. If you're interested in the event, but a little unsure about traveling halfway across the world, send me a number and I'll give you a call and we can chat about the ride and what to expect. Hey Dave, hey all. There are so far two of our group who are ticketed to Bangkok (BKK) on January 8th, 2013 leaving plenty of time to take any number of ways to get to this event by Jan. 21. If we bought used or new bikes in BKK, can we use them in this event and still somehow get a donation in a different way? I guess I'm wondering if there other ways of doing this event/donation other than the purchase and sale of a bike in Phenom Penh? Do you know if there is still a size or CC limit to bikes brought into either Cambodia or Vietnam? We want the option to ride out of the RFC event when it's over and head east across to Vietnam. Sure appreciate any knowledge you may be able to share on this stuff. Last edited by digiamo on Thu Oct 11, 2012 1:21 pm, edited 1 time in total. Good questions,,, hope Dean and/or Dave can answer. Just noted, Dace is on here too now. Hey Dave, hey all. There are so far two of our group who are ticketed to Bangkok (BKK) on January 8th, 2012 leaving plenty of time to take any number of ways to get to this event by Jan. 21. There are no rules for this ride So do whatever you think is right regarding donations. It'd be great if everyone participating in the ride who can ride a scooter is on a scooter. Getting the bike into Cambo should be easy. I'm not too sure about getting from Cambodia back into Thailand or Cambo to Vietnam. Vietnam used to have restrictions on how many CCs your bike could be to enter. I swear I heard that it may no longer the case, but I can't remember if you still need to be part of a sanctioned tour or not. The best thing to do is post over on http://www.rideasia.net or just google site:rideasia.net vietnam bike size or something. I know that is a topic that comes up all the time over there.